The award-winning Blue Eye Dragon restaurant in Australia serves the finest selection of unique Taiwanese cuisine in a family environment. This cookbook offers a range of their most popular and vibrant dishes. Muriel Chen works with her mother Jade, who in turn learnt from her mother, to create a feast of dishes that are easy to prepare and colourful to present. Taiwanese food is like a giant mixing pot of Chinese cuisine: after centuries, the flavours have evolved to create a different taste sensation.In addition to influences from China, there are Japanese flavours and techniques, especially in the seafood dishes. Learn to whip up delicious salt and pepper classics, traditional and new takes on soups, sensational stir-fries and entrees that take dumplings, pork belly and crispy chicken to another sphere. 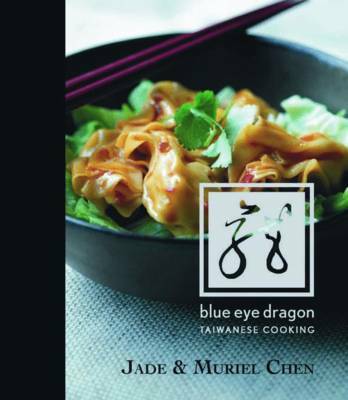 "Blue Eye Dragon" reveals the recipes passed down through generations committed to creating the freshest and finest food possible. This book is suitable for hosts and individuals keen to create colourful and unique meals for any occasion.